World’s largest fixed-base operation and distribution network has jobs for veterans today! Jobs for U.S, veterans at large truck dealership. Apply today and get back into the workforce. Jobs for U.S. veterans at industry leading energy company. Veteran owned moving company is hiring today! Mission critical service company is hiring U.S. veterans today! 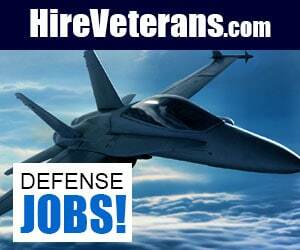 Sales team is looking to hire U.S. veterans for transactional-oriented Senior Inside Sales representative positions. One of the first organizations in Minnesota to serve people with developmental disabilities is hiring U.S. veterans today! Manufacturing industry’s evolution can be traced along the same lines as that of the tech industry. After completing military service, veterans can have a difficult time finding employment when returning to civilian life. Learn More! Community Health and Counseling Services Joins HireVeterans.com! Community Health and Counseling Services is a private, non profit community-based home health, hospice and mental health provider and they are currently hiring U.S. veterans. Getting your credit card paid on time and cutting down on the debt you owe can provide you with a lot of freedom. Here are some tips on achieving this. Veterans Day not only offer an opportunity for us to thank them for their service but also allows us to remember and reflect on their sacrifices. Lupe Cardona made the tough decision earlier this month to leave a career she’s known for nearly three decades to pursue another facet of education. Julia Yuhasz has been communications liaison for the Four State Community Veterans Engagement Board since its inception about a year and a half ago. State officials Friday announced a new program that connects veterans with job opportunities and housing.